I consider Fred one of my brothers ... but he always calls me "Mom". The fact that he's about the same age as my husband, who is significantly younger than I am, it makes me twinge when that word hits me. He means it in the aspect of respect. And that's one thing Fred and I have for each other... a great deal of respect and appreciation. He's one bright guy, a good husband and dad, and a totally focused servant of God. The last event we had together was important and intense and humorous, in a rather strange manner. 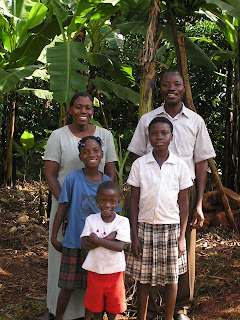 I had spent the night at their home outside of Jinja. Their house was partially constructed; in fact, mostly UNconstructed. I was exhausted, having left Soroti that day after several weeks of very serious work and ministry. In spite of wanting to visit them, I spent most of my time sleeping wherever there was space to put my body. The next day I went to the home of a man, Patrick, that Dave and I had helped pay for his schooling for both senior school and college from '91 to '95. Hadn't seen him since '96. When he picked me up to take me to his house, about 20 miles up into the hills, there was a young teenaged girl in the car who looked very much like a family member. He introduced me to her, and I went into shock. She was his daughter and named after me.... but we had never heard anything about her; the pregnancy and birth occurred when he was between high school and college. I wasn't pleased to hear this, although it didn't hurt my attitude towards her, Joanne. I was hurt, because, even when Dave and I had been with him before, paying his school bills, going on a vacation together in '95, he never mentioned this "event." I felt cheated, to be honest. I had hoped to spend the weekend in his country home to rest and recover from my work in Soroti, struggling with my health, not realizing I was heading into malaria. But had almost no rest. Patrick was involved with a lady, Faith, and wanted to talk to me about their issues. I spent all evening Friday, most of the night, and all day Saturday counseling. Late in the day, I called Fred and see if he would meet with them in Jinja and he agreed to. One of Fred's ministries with YWAM was marriage counseling. He said he would. Fred had suggested that he would talk to one first, and then the other, and then together. Well, the stories and opinions and expectations had been so incredibly different I said that he should only do it with them together. When we got to a resort park area, Fred met the others and took them to a table to talk. I wandered around for three hours, took a tour ride on Lake Victoria/Nile River source stretch. Had just a restful time to myself. As we left, and Fred was being taken home, and was sitting next to me in the back seat, he suddenly, intensely, grabbed my leg. I glanced at him, and he just shook his head and rolled his eyes. He whispered, "You were right! Needed to listen to them together and even that was just crazy." Patrick and Faith separated shortly thereafter and I've had no more contact with them. But Fred truly did the best he could, spent as much time as possible, gave them his number so they could contact him any time, either separately or together. Really poured himself out to their hearts. After a short time, they both disappeared, even though Faith contacted him a few times. And that is what Fred is like. He gives and gives and gives again. As mentioned in Josephine's story, he was in Rwanda helping the young folks who had been forced through genocide. They have had businesses over the years as ways to support their family and ministries... and they have struggled almost more than anyone I ever met over there. They are possibly coming to the States in September for a YWAM training event connected to their particular type of ministry. My huge hope is, of course, that we might somehow meet, even though their location hasn't been indicated, yet. It would be such a blessing to simply have them with us and bless them. Am hoping the Lord will open that door. They are very much worth it. Sometimes I sure wish I had photos from many years ago and some good ones recently. Oh, well. Just need to do what works. 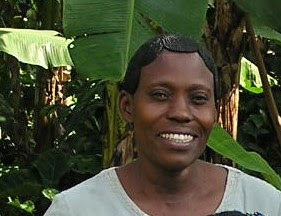 Josephine isn't my only Ugandan sister, but she's one of the most amazing people I've ever known. Twenty years ago, in February, '91, when Dave and I were in Uganda our first time, we ended up at her church in Jinja, Dave greeting, me preaching. Their church pastor had been the original person who had connected us to Uganda; God truly laid him in our path and exploded the desire to go to Uganda into our hearts. Patrick had been in Omaha attending a local Bible school for two short sessions, in '86 and '89, and Dave and I also took the occasional class. Shortly before we left to go to Uganda, taking 11 boxes of goods for Patrick's church members, items donated to the Bible school by various local churches, there was a problem. One of his church members wrote a long letter to our local Bible school Pastor/Leader with many complaints. As you know, communication wasn't so easy in those days, especially internationally, and Patrick wasn't available in Uganda or the U.S. [I think he was in Norway] to deal with these problems. Since nothing had been settled before we were leaving, we were told to give the items to a different group, which we did. As hard as it was to follow through with what seemed such a harsh decision, God gave me an amazing experience that wouldn't have happened otherwise. We didn't connect to their church in Jinja for our first four weeks in Uganda, and hadn't had a chance to explain the details. The people at the church hadn't heard all of it, and when Dave and I went there, after the service, we spent an hour talking with the church leaders. That's how we met Josephine and her husband, Fred. And they were heartbroken when we read the letter to them. Their tears, their obvious caring and concern poured forth. And the four of us became family at that moment. 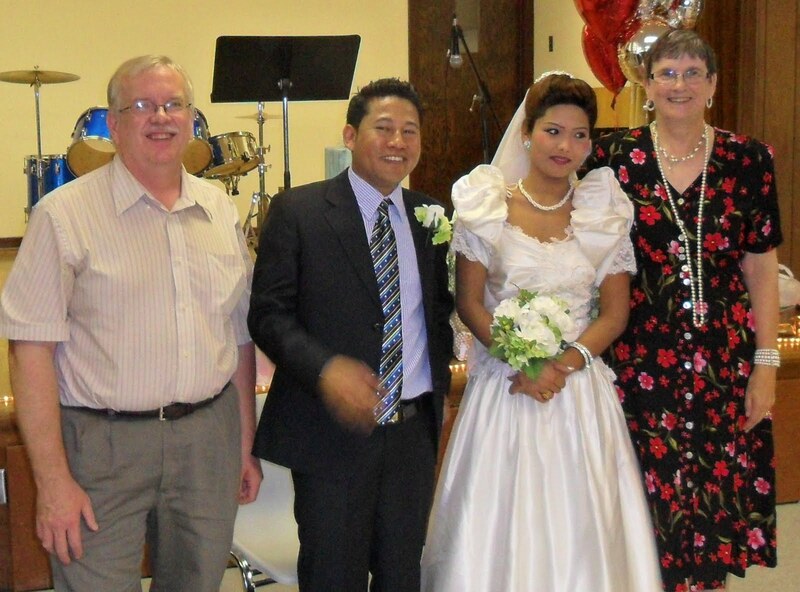 Fred and Josephine have been with YWAM for a number of years. One of the events they shared with me when I was in Uganda last time, February, '04, was their mission in Rwanda, several years after the genocide. Their YWAM group went from house to house, yard to yard, hut to hut, reaching out to kids taking care of other kids, all having lost their parents and never having received help or greetings from anyone in all that time. They were able to encourage and bless these young people. How many of us could have done that? My heart would have been in the right place, but my guts might not have been able to pull it off. What brought this to my attention was a vision in my head while lying on the couch recently after surgery, buried in pain meds. It is a place in Ugan da called the Bujagali Falls, not far from the source of the Nile. 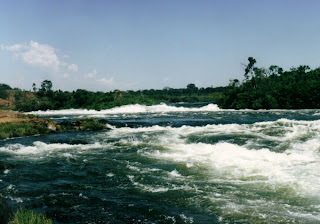 And I remembered a wonderful time with her and Dave in '95, all of us boda-boda-ing [bike passengers] to go visit the falls. And the lovely time sitting together on the boulders and watching the waves and listening to their thunder as they churned around the small islands. Amazed as young men dove into the rapids and "surfed" over the rocks, hoping that tourists would pour some shillings into their hands when they came out of the river. It was just a special time... easy to remember, hard to ever forget. I have some lovely friends in so many places... all over the States, Canada, England, Uganda. So many I hear and see often; so many I see rarely and miss much -- very, very much. One of those main "missed" ones is dear, dear Josephine. "Our lives should be pure and white tablets whereon God can write." I saw this Ibsen quote on a statue in Tacoma, WA, at Wright's Park on Mother's Day when we were having our "Mom's ashes event". The statue with its quote thoroughly impressed and filled me with questions. I had heard of this playwright, of course, and remembered some of his plays from high school and college when we had to read them. I didn't like them at all. UH, UH!! So, as I said, when I saw his statue with this statement, I was a bit surprised. So, here 'tis. 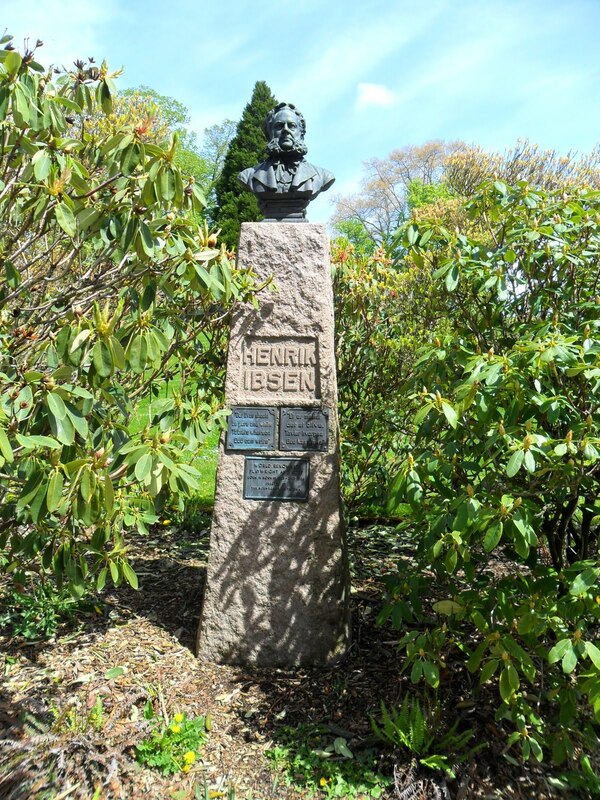 Obviously, according to the Norwegians who had the statue placed at the park in 1918, there was a lot of respect. However, I looked him up on line, hoping there would be an indication of a character change, post-playwright ... but his known character fit right into the plays right up to his death. Nothing godly. His statement is so thoughtful and creative... and just WHERE did it come from? Thought I'd toss it out at you, too. You can "Hmmm" right along with me. Wish I could put a photo on here... or some sort of artistic piece ... to make this stand out, but, at any rate, without the creative bits, it's been on my heart for a few days and I want to point something out. The Lord had me read Jeremiah, and now I'm in Ezekiel and, of course, next is Daniel. I use a Chronological Bible to see how the events fit together and it reminded me so much of what we, as church members, worldwide, are experiencing. So much difference in our cultures and our circumstances. You see, Jeremiah, most of the time in Jerusalem, was a well-known prophet for years and years, loved and appreciated for some time, respected, and then hated for others. Heartbroken by knowing what was coming, and so desiring to turn their lives back to the Lord. When the first ones were taken into captivity, while Jeremiah was doing his God-job, Daniel was abducted. Within a short time, Daniel was moved into a royal position, gained strength in Nebuchadnezzar's government. In the third group that was captured, Ezekiel was included. A couple years after he had been in the Babylonian area, when he was about 30 years old, the Lord began to say, "Tell them this..." or "show them this". And for years, that's what he did. His life was simple... not necessarily poverty-oriented, but very simple. Some people turned to the Lord; some turned further and further away. Then, right in the midst of this, Shadrak, Meshach, and Abednego had their "fireworks" event. So, within approximately 600 miles and, maybe, 20 years, these 3 prophets lived in entirely different regions, entirely different lifestyles, and much different responses from the people around them. Ezekiel was visionary on a regular basis. Jeremiah was heart-drawn, wanting the best, seeing the worst. Daniel, well, we know all of the Daniel stories. Now... this is the question. Where does this put us? How do we envision each other with our various ministries, denominations, personalities, interpretations of scripture? How do we deal with the facts in our lives... when we are certain that we know the potentiality of what is coming down our national/international tracks... how we can prepare for our own future and how we can help others? Whether we are rich [Daniel] or middle class [Jeremiah] or very simple [Ezekiel], focusing on the heart of God, how can we be certain to say and do what He is calling us to do, no matter what the consequences can be when we face our cultural negative attitudes? Will we have the courage? This isn't nearly as creative as I try to be -- and the writing and wording aren't perfect... AT ALL. But this has been buried in my heart and mind for several weeks and I thought I'd toss it off on other plates. Yours. Saturday was the first Bhutanese Christian wedding I've ever been to and I think it's probably one of the first here in Omaha. How would I determine that? The visitors seemed confused. However, Kharka and Usha looked wonderful and seemed to be very comfortable and relaxed, confident that this was the right step to take. Kharka has been in the States for a bit over a year; Usha has been here for a couple months. They had been in love in their refugee camp, and he was so excited when her permission to come to Omaha came through and her visa arrived. They both came to the Lord in May right after she arrived, leaving their Hindu religion. So, here's my description of the wedding, much of which I placed in an email to Susie later that day. The wedding today was beyond belief!!! Besides the joy, of course. Kids ran around in the sanctuary and screamed -- parents rarely discipline their kids as they've been told that, if they do, they can be put in jail if the kids complain about them. People talked incessantly, both cell phones and face-to-face yammering. 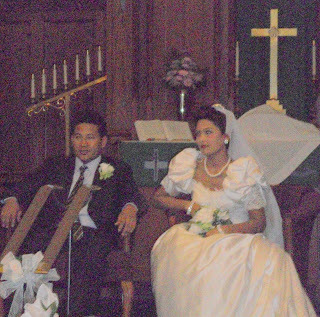 They walked to the front to take pictures and stood in front of Kharka and Usha and the pastor and interpreter. Lachi [Khaka's mom] who was sitting in front of me, hollered. Mandira, my "granddaughter", told me Lachi was telling the pastor and interpreter to move out of the way so she could see Kharka and Usha during their vows. Another time she hollered at kids a row or two in front of her. A girl, about 8, would jump across the bride's white aisle cover... and then jump back across it, thumping very loudly. Another time she grabbed her dad's camera and walked up and down the aisle taking photos of all of us. When it was over, Dave and I spent a few minutes picking up pencils and writing pads the little kids had taken from the back of the pews and had spread around on the seats. We put those bits back so the church members wouldn't be upset when they show up next week, since the Bhutanese are rarely in the sanctuary. At the end, besides the wonderful Indian culinary buffet in the fellowship hall, we had the blessing of spending time with our many dear ones and having a photo with our very special dear ones of that special day.